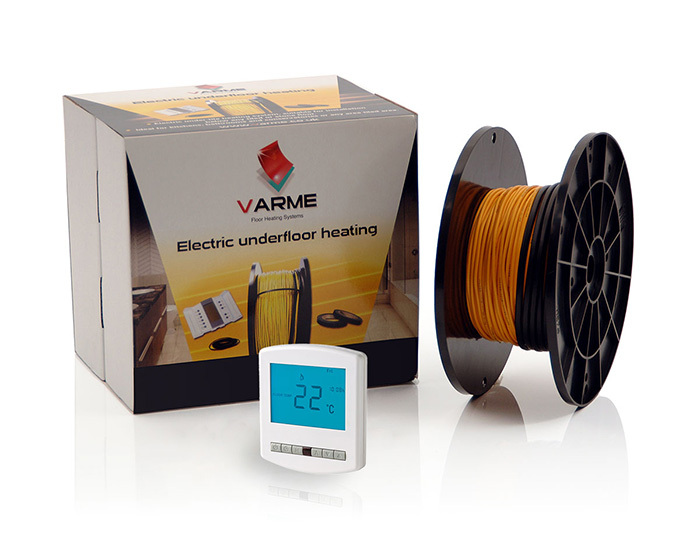 The Varme brand is distributed in the UK by Floor Heating Systems Ltd.
We were established in 2001 and during this time have become one of the UK’s leading electric underfloor heating suppliers. We supply a wide variety of systems to suit all installation types, from a simple bathroom renovation to a complete home heating solution. Our manufacturing and quality control take place in Scandinavia, the home of underfloor heating. We believe that the quality and reliability is second to none. We offer a lifetime warranty against cable failures. The Varme underfloor heating brand is available nationwide through a carefully selected group of retailers with full in-house technical support and back up you can be assured of a first class product and service. For details of your closest retailer, please contact us. Floor Heating Systems Ltd has been supplying electric underfloor heating in the UK since 2001 and we have developed the Varme brand for sale through trade outlets and approved installers. We offer a variety of underfloor heating packages to suit our trade and retailer suppliers. These include, full technical support, very competitive discounting structure, plus high quality point of sale. Most of our underfloor heating products are available direct from our stock for next working day delivery throughout the UK. We also supply overseas and currently have distributors in France and also in Australia.